Sun, sea… and low taxes: A scientific study by the University of Amsterdam says Malta is the EU’s main tax haven. Malta ranks first among a number of EU countries in a list of what a new study calls 24 “sink offshore financial centres”, which it says are typically characterised as tax havens. The study, published this week in the academic journal Scientific Reports, analysed the global ownership structures of over 98 million firms. It makes a distinction between what it terms conduit offshore financial centres and sink offshore financial centres. The authors say the data goes against the idea of offshore financial centres as being exotic, small islands that cannot be regulated. 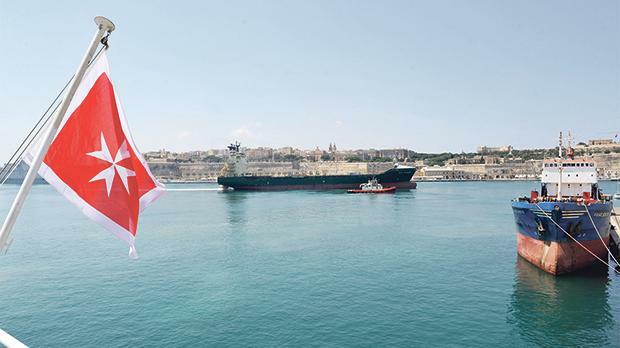 Malta was classified as a sink offshore financial centre, meaning it is a jurisdiction where a “disproportionate” amount of value disappears from the economic system compared to its GDP. The British Virgin Islands claimed the top spot in the classification, followed by Taiwan and Jersey. One of the study’s authors told Times of Malta that relative to their GDP, the data ranks Malta in 10th place in the list of 24. The next EU country on the list was Luxembourg, in 12th place. In absolute terms, Luxembourg shoots up to second place on the list, with the BVI retaining the top spot and Malta in eighth. Sink offshore financial centres attract and retain foreign capital, while the conduit ones are attractive intermediate destinations in the routing of international investments that enable the transfer of capital without taxation, the study says. It classified the Netherlands, the United Kingdom and Switzerland as the three main conduit offshore financial centres that are used by companies to channel their money to tax havens. Multinational corporations use highly complex structures of parents and subsidiaries to organise their operations and ownership. The study authors note that the offshore financial centres identified facilitate the structures through low taxation and lenient regulation but are increasingly under scrutiny, for instance for enabling tax avoidance. Malta has been under increasing pressure in recent years to scrap its full imputation system, which can allow foreign-owned companies to reduce their tax burdens to five per cent instead of the standard 35 per cent income tax rate. Finance Minister Edward Scicluna has constantly rejected accusations that Malta is a tax haven and offshore centre. It went onshore in 1994 and is fully compliant with international tax transparency regulations, he insists.